On 5 January, 2018, we were honoured to have Ir. 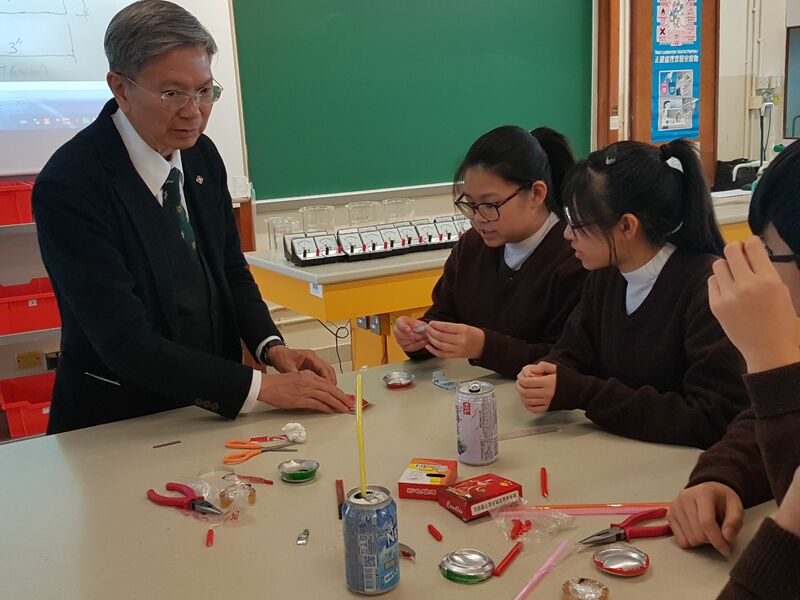 Lo Kok Keung to deliver the Keynote Speech, entitled ‘Scientific Forensics and Engineering’. Ir. Lo has earned a reputation as "Hong Kong's detective Galileo" for solving tricky traffic and commercial disputes with his knowledge of physics and mechanics, vindicating many people who faced false accusations. In his inspiring speech, he shared how he applied his knowledge for the good of society and sought justice for the underprivileged and the wrongfully accused. Also, he presented a very thoughtful gift to our school, which was a STEM boat made by him. 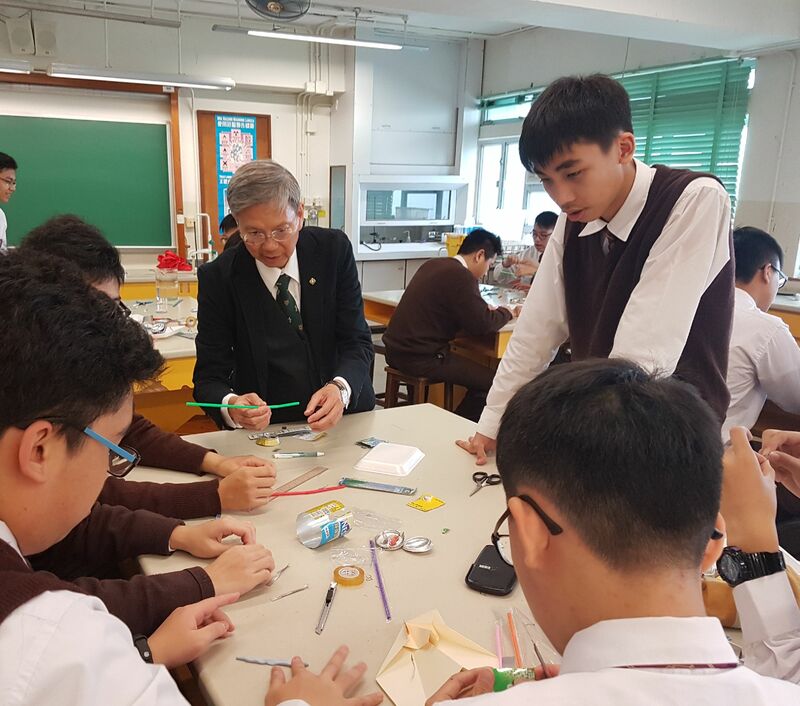 After his speech, he conducted a STEM boat making workshop, during which 30 senior form students used aluminum cans, candles, straws etc. to make a boat.